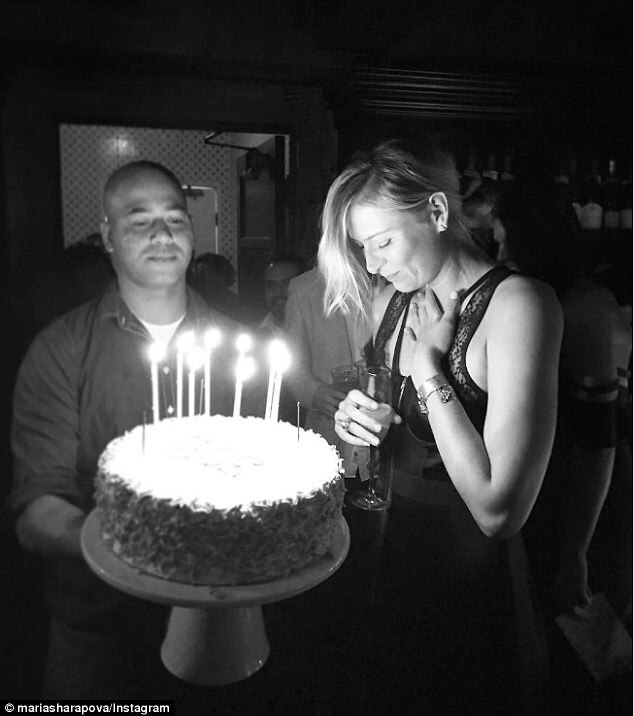 Soon to turn 30, Maria Sharapova celebrated her birthday early at A.O.C. in West Hollywood. Sharapova was seen sporting a slinky black dress with long front zip and sheer sleeves. She paired her dress with black ankle boots and a small little leather purse that slung over her shoulder. The Russian turns 30 on 19th April, but she was the centre of attention while celebrating with loved ones. The star took to Instagram to share a few snaps from her night out, including one of herself as she was given her birthday cake with lit candles.